Vauxhall has renamed its banana yellow car colour Maddox Yellow after Peter Maddox, the Cotswolds pensioner whose beloved yellow Corsa was vandalised earlier this year. Maddox hit the headlines in 2015 when his yellow Vauxhall Corsa became known as "Bibury's elephant in the room". 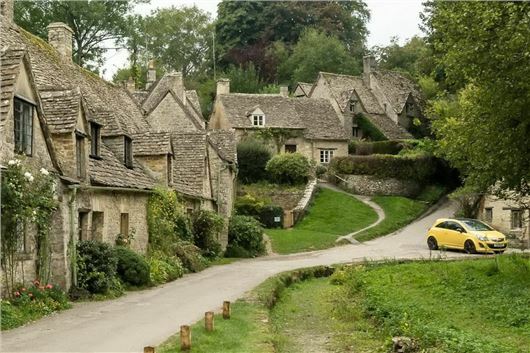 The comment, made by photographer Lee McCallum, sparked a debate on Twitter about Maddox's car allegedly ruining tourists' photos of Bibury, the picturesque 14th Century Gloucestershire village that adorns the front inside cover of British passports. Tourists argued that the bright yellow Corsa blighted their pictures of the chocolate box village, leaving Maddox to defend himself from the criticism and argue that he had no garage to put it in. The level of disdain culminated in February 2017 when the yellow Corsa was vandalised, with the word 'MOVE' scratched into the bonnet and the driverside window and rear windscreen smashed. The repair work was estimated at £6000, resulting in the car being written off. Vauxhall has said it was touched by Mr Maddox's story and decided to rename their yellow tone after him to show their support. Despite initially saying he would opt for a lime-green replacement, Maddox chose a grey Vauxhall Corsa to avoid further scorn from sightseers and enjoy a peaceful retirement. Since the story of Peter's vandalised car, people from around the country have shown their support and a 'Bright Yellow Car Convoy' has been organised to travel to Bibury village on 1 April. Peter will attend the event as a passenger and choose his favourite yellow car on the day. All of the money raised from the event will go towards The Butterfly Garden, a charity chosen by Peter and his family which aims to offer diverse and purposeful opportunity to people dealing with disablement of any kind. Vauxhall has also confirmed that it will take part in the 100 yellow car strong charity convoy.